TELMEX-TELCEL Foundation announces that four of its athletes from the Athletics Promises (Promesas de Atletismo) program obtained the necessary marks to represent Mexico in the next Youth Olympic Games to be held in Buenos Aires this year. Paulina Alejandra Ortiz Hernandez, Cesar Daniel Gómez Ponce, Leopoldo Valtierra Rincón and Alejandro Ruiz Gil are the first fellows of the program that achieve the goal of qualifying for an Olympic Games. The four Athletics Promises members appeared before the Mexican Olympic Committee on October 3, where they said they were ready to leave for Buenos Aires. Arturo Elias Ayub, Director General of the TELMEX-TELCEL Foundation, stressed that the participation of fellows in the Youth Olympic Games represents an important achievement for each of them and shows the progress of the program, which aims to support young Mexicans with training and punctual follow-up, to put on high the name of Mexico in the Olympic Games. Alejandra Paulina Ortiz Hernandez, from Santa Cruz Xoxocotlan, Oaxaca, will compete in the 100-meter dash, race in which she has won gold medals at the National Olympics and Under 18 and Under 20 National Championships. Leopoldo Rincon Valtierra, from Victoria, Guanajuato, will compete in the 1,500-meter run. He has specialized in this competition conquering gold medals in both the National Olympics and the Under 18 and Under 20 National Championships. 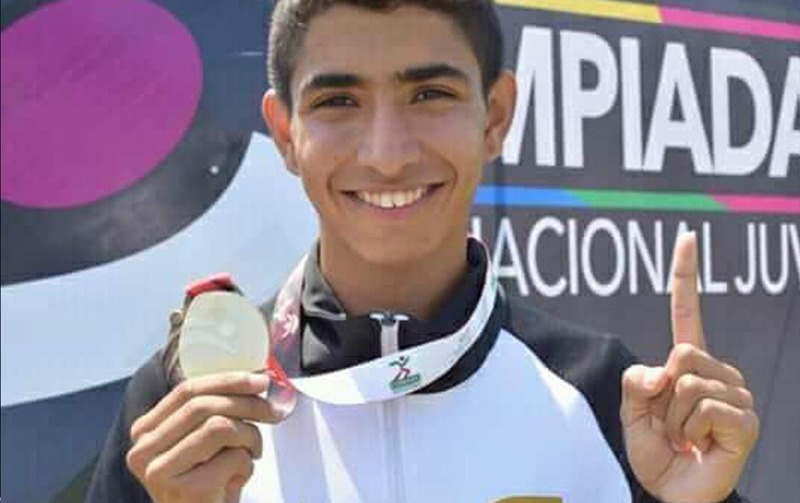 César Daniel Gómez Ponce, from Tepatitlán, Jalisco, will compete in 2000-meter steeplechase. César Daniel has obtained gold medals at the National Cross Country Championships, the Under 18 and Under 20 National Championships, the National High School Education Games and the National Mountain Racing Championship. Alejandro Gil Ruíz, from Guadalajara, Jalisco, will participate in Buenos Aires 2018 in the 400-meter hurdles. This year he won gold medals at the Under 18 and Under 20 National Championships.